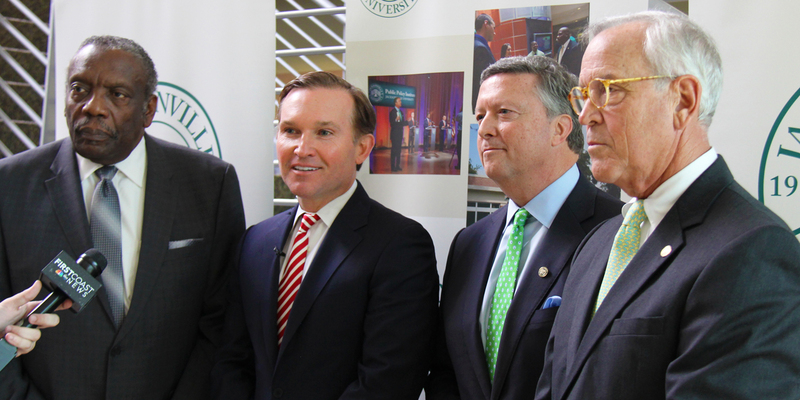 In fact, the Wodehouse name is now synonymous with education, philanthropy, and innovation at Jacksonville University. 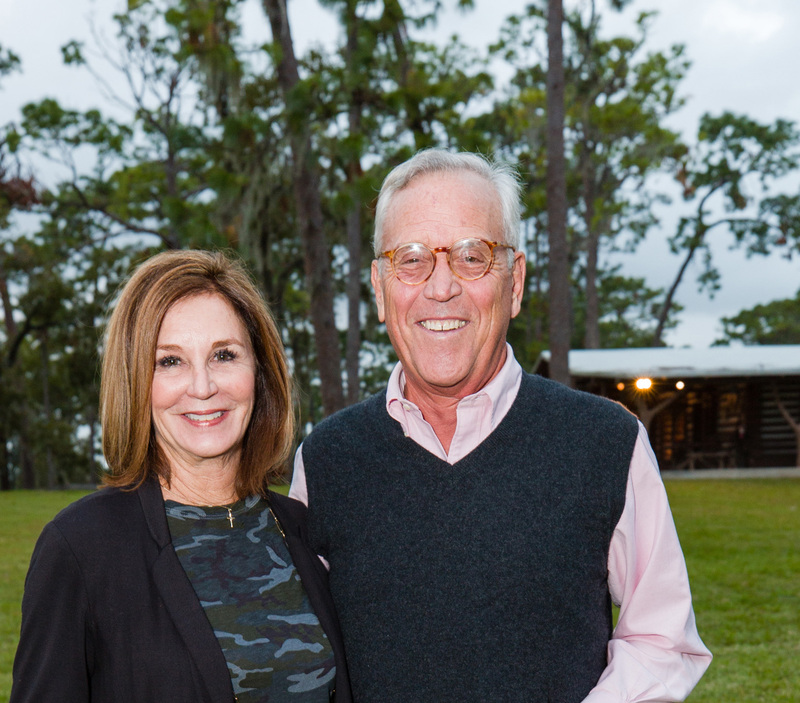 Charles “Chuck” Wodehouse, Jr. and his wife Camilla “Cami” need no introduction on the JU campus. Chuck served as president of the former University Council, was the initial Chairman of the Davis College Advisory Board, and served for 18 years on the University’s Board of Trustees. He joined the board years after the tenure of Dr. Frances Bartlett Kinne’s tenure as university president, during a period he describes as a time when the University needed renewed leadership to address issues with student recruitment and retention, University finances, and a JU brand that no longer reflected JU’s unique educational offerings. One might assume that his motivation to step up as a University advocate came from his time as a student at JU. But that’s not the case. Graduates of the University of Virginia, Rutgers University, the University of Pennsylvania, and Sweet Briar College collectively, Chuck and Cami do not have a typical alumni link to JU. Their engagement and philanthropy comes from pure intentionality and commitment. Chuck agreed with this and was determined to head straight for Florida after graduating from business school. So, on October 21, 1972, he and Cami married in her family’s backyard, and the very next day they moved to Atlantic Beach. Dr. Kinne. “Fran’s niece, Carolyn Kinne Wayland, was my best friend in elementary school,” said Cami. They formed a connection that she calls serendipitous, one that persists still today. In addition to providing leadership and investing his time and talent, Chuck also stood in the gap as a major financial supporter. 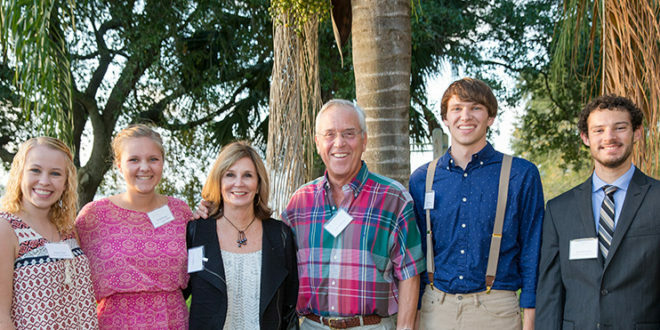 Projects made possible because of commitments from the Wodehouse family and other donors include everything from fine arts programming to floating classrooms. The logic behind knowing where and how to support? They describe it as an organic process. “We see a need and know that we can do something about it,” Cami said. She uses lacrosse as an example. They remember Paul and Mindy McCord as early champions of Lacrosse at JU. This struck home for the Wodehouses. “I wasn’t a stellar lacrosse player in high school, but I knew the power of the game and how popular it had become,” Chuck said. Chuck gives high praise to Coaches Mindy McCord and John Galloway, and agrees that Jacksonville University indeed has the potential to become the Lacrosse Capital of the South. “It’s part of the secret sauce at JU. Our athletes are wonderful, have leadership skills, speak well in public, maintain high GPAs. These are the kind of graduates we seek,” Chuck said. Jacksonville University Athletics has already broken ground on the Jacksonville Lacrosse Center (JLC), having reached the fundraising goal ahead of schedule. Completion is scheduled for this November with a dedication ceremony on the spring calendar. The 8,600 sq. ft. building will serve as the new home for both the men’s and women’s lacrosse programs and is located adjacent to the grandstand on the north end of D.B. Milne Field. The $1.875 million facility will include everything from locker rooms, media areas, and lounges to coaches offices, training areas, and the outdoor gathering space that has been dubbed The Wodehouse Walk. Chuck and Cami recently partnered with the Jacksonville University Public Policy Institute and the City of Jacksonville to create JU’s first-ever Master of Public Policy Minority Fellowship Program. 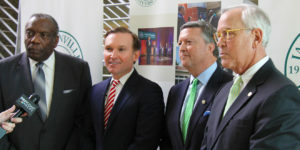 Announced mid-February, this historic initiative received backing from Mayor Lenny Curry and key community advocates. The goal of the Fellowship is to offer future African-American leaders a two-year JU Master of Public Policy scholarship, a City of Jacksonville internship, and job placement after graduation that keeps their leadership and talent within the region. “This is a very attractive program,” Chuck said, and he looks forward to the 2018/2019 inaugural year. In a conversation one afternoon with Rev. Mark Griffin, a dear friend of the Wodehouse family and former colleague at CSX, Chuck asked, “How do we clone you?” They had been discussing leadership issues. With past experience as a CPA and clergyman, he later founded a charter school in Eureka Gardens located inside Jacksonville’s urban corridor. Mark shared the opinion that leadership problems within Jacksonville’s African-American community centered around retaining talent. “I wanted to know how to keep bright, young leaders from relocating to Charlotte, Miami, and Atlanta,” Chuck said. Soon, the conversation turned to the Public Policy Institute. 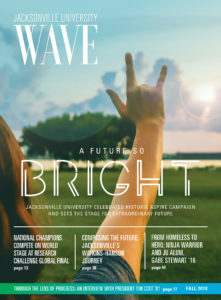 The unique concept involved affording the most talented African-American graduate students a chance to earn a prestigious degree and gain broad exposure to national, regional, and local public policy issues. Preparing these students to lead while creating diverse employment opportunities in the public, private, and non-profit sectors perfectly fit what Chuck and Mark envisioned. The Fellowship provides two full-tuition scholarships per year, worth a total of $40,000, to qualified minority applicants. Recent graduates from JU, the University of Florida, Florida State University, Florida A&M University, and other schools in the region were encouraged to apply. 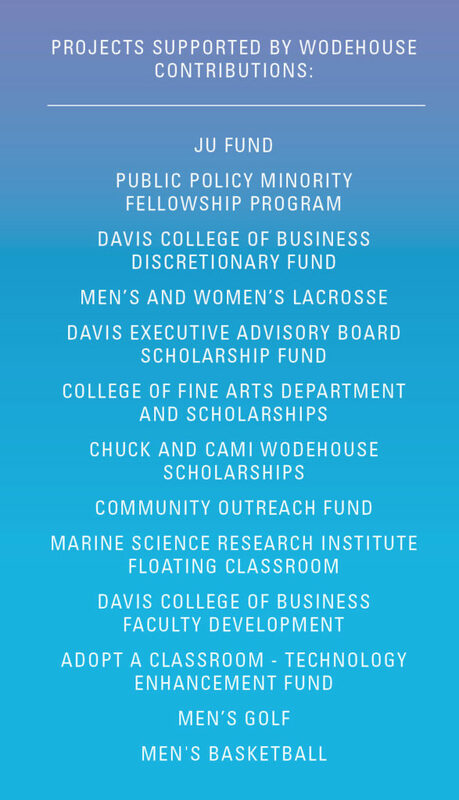 This inaugural year, 20 applicants competed for the two fully-funded seats. By the last week of June, the Fellows selected Tameka Gaines Holly and Javon Knight. Rick Mullaney, Director of the Public Policy Institute, stated, “As you know, we received many outstanding applications. This Fellowship has great potential to create a new generation of leaders.” Jacksonville Director of Community Affairs Dr. Charles Moreland and Jacksonville Transportation Authority (JTA) Chief Executive Nat Ford attended the February press event, as did retired Edward Waters College President and former Jacksonville Sheriff Nat Glover, Jr.
Nat Glover Jr., retired President of Edward Waters College, Jacksonville Mayor Lenny Curry, President Tim Cost and philanthropist Chuck Wodehouse announce Public Policy Minority Fellowship on February 15, 2018. When asked about their joint vision for the future of JU, Chuck and Cami list endowments, increased enrollment, and a further diversified student profile. They acknowledge there is room for growth and improvement, but are quick to remind everyone of that special brand of JU potential. They also acknowledge that, at the end of the day, it takes funding. Opportunities start with funding, Chuck says.